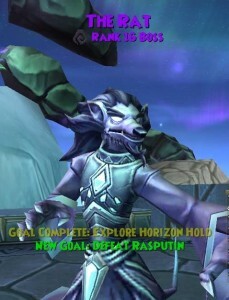 Rasputin is the only source of some of the best gear in Polaris (check out our Rasputin gear guide if you’d like to to see for yourself!). We wanted to share a 4-round approach that we’ve found effective. We buff a hitter to take out Rasputin on round 4 while another wizard takes out the minions in the second round. It’s worked consistently and doesn’t require a lot of concentration. We also list an alternative strategies (healing first round) below, since variety is the spice of life! The hitter can be any school, assuming they have sufficient damage and pierce (see below). 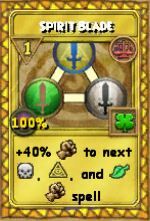 At least one wizard, which we’ll call the Minion Killa, must have 6%+ pierce (ideally 21%+ pierce) and a 4-pip AoE. It’s helpful if this wizard is a different school than the hitter. At least one wizard must have elemental or spirit blades trained (depending on the school of the hitter). This can be the same wizard as the Minion Killa. Ideally two wizards have them trained. We’ve listed the damage boost needed by the hitter below, assuming you use the buffs recommended later in the article. If your hitter has 21%+ pierce, we assume you use a Colossal enchant. Otherwise, we assume you will use an Unstoppable Treasure Card enchant for the 15% pierce. If your hitter is under 20% pierce and you want to use Colossal, you’ll need to add roughly twice the difference to the damage listed (e.g., if their pierce is 17%, you’ll need to add 6% (20% – 17% = 3% * 2 = 6%). Lastly, if you use weaker blades than the ones listed, you’ll need to add roughly twice the difference to the damage listed too (e.g., if you use a 30% blade instead of the 40% listed in the guide, you’ll need to add 20%). You’ll typically need to buff the hitter 10-11 times. We’ll use the term “tri-blades” to refer to elemental or spirit blades and “tri-traps” to refer to elemental or spirit traps. 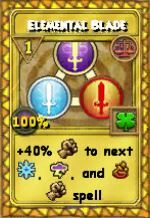 There are many combinations of buffs you can use. We’ve listed our recommendations and other options below. For teammates, we’d recommend the following spells, since they should be easy to obtain and provide the most boost. These 7 buffs plus 3 for the hitter will get you 10. Note that if your hitter is the same school as your Minion Killa, don’t use traps for buffs! Before the battle, we suggest that your team figure out which buffs each wizard will cast to ensure no overlap. When you enter Horizon Hold, have the hitter port to their house and then use Dungeon Recall. This will make them last in the battle. 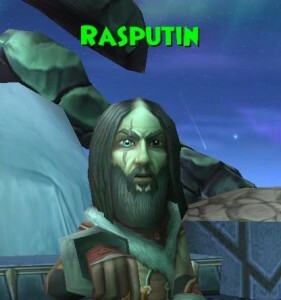 One wizard should be assigned to cast Melt (Ice Dispel) on Rasputin, to avoid his 7-pip group Frostbite with stun. If you are first in the battle, we suggest casting it second round (or later if he uses his pips first round). If you are second in the battle, we suggest casting Melt first round. For round 1, everyone should blade the hitter (except if the Dispeller casts Melt). For round 3, everyone should blade the hitter. 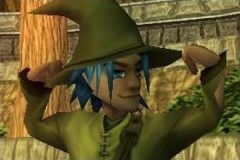 The other wizard should buff the hitter or, if the hitter is not using an AoE, cast a 4-pip AoE before the feint (this is why we suggest having 2 Wizards with 4-pip AoEs and feints). If anything goes wrong, your Minion Killa can cast a 4-pip AoE on round 4 and you can take out the Rat in a turn or two. In this case, the Minion Killa would buff on turn 2 and the hitter would hit on turn 3. You can either cast melt or heal but not both. We’ve typically preferred the 4-round approach since it’s a bit safer. Round 1: The first 3 wizards heal (e.g., Sprite). The hitter blades. 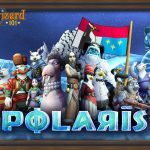 Patrick enjoys sharing insights about optimizing various activities in Wizard101 and Pirate101. He helps out with technology and often covers new dungeon/boss strategies and speed runs after story updates.